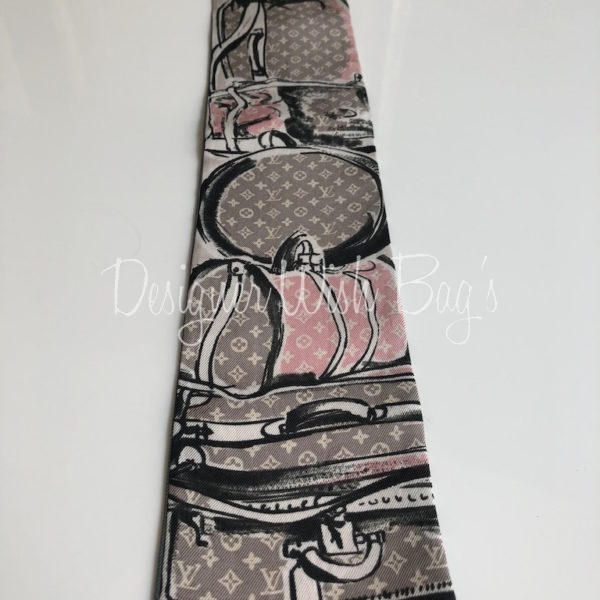 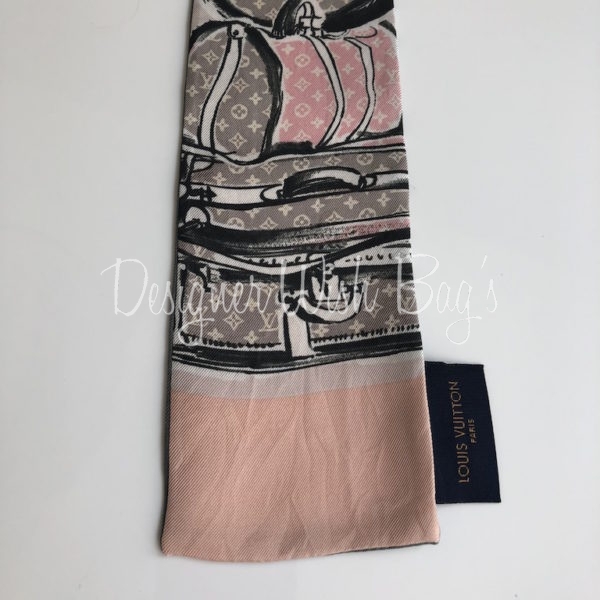 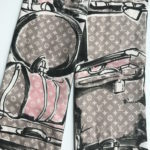 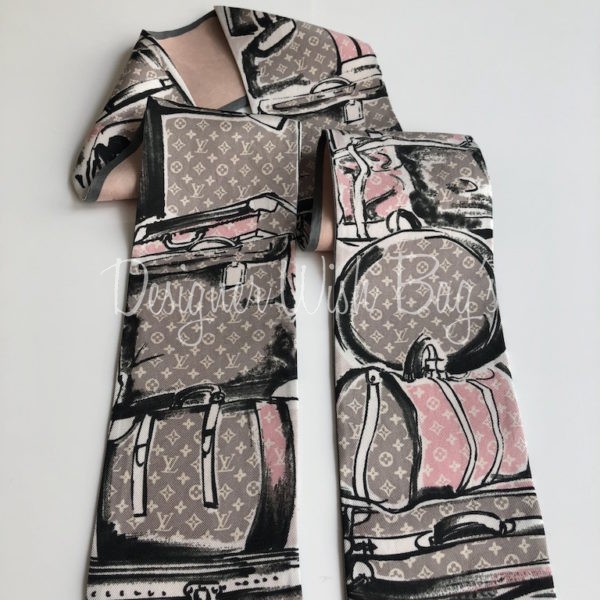 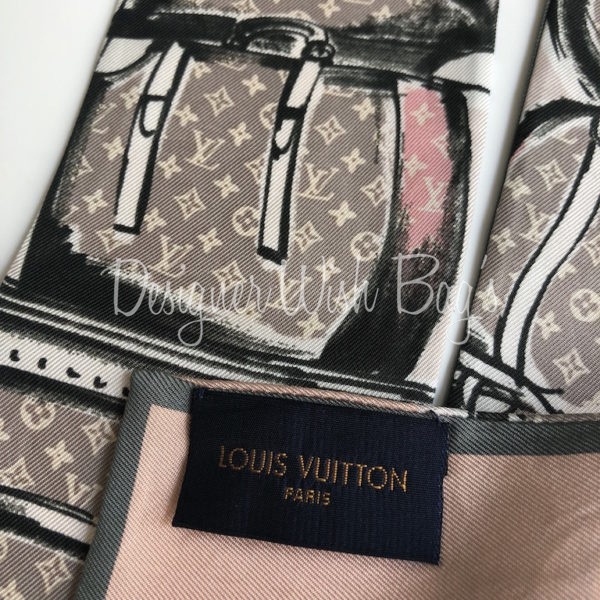 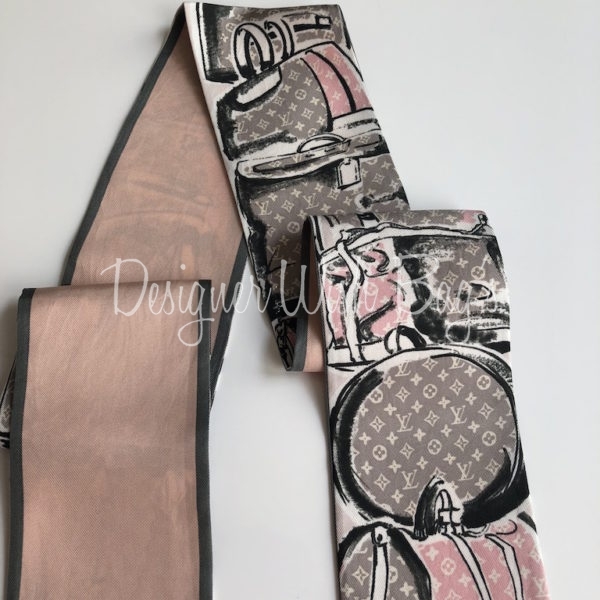 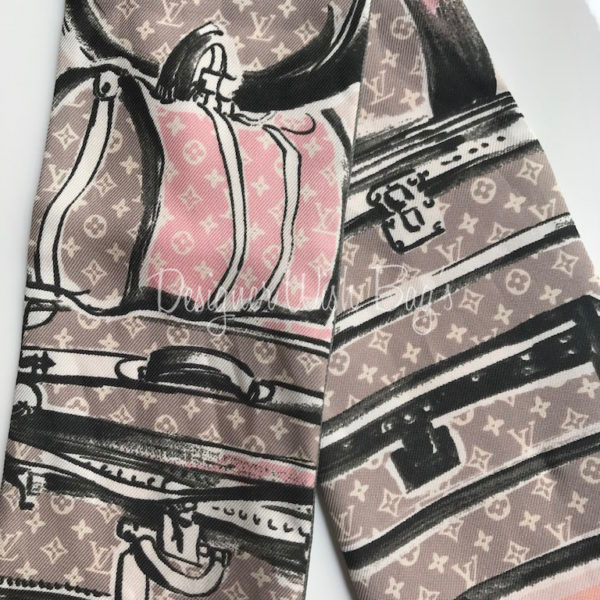 Louis Vuitton Twilly with “Trunks and bags” print. 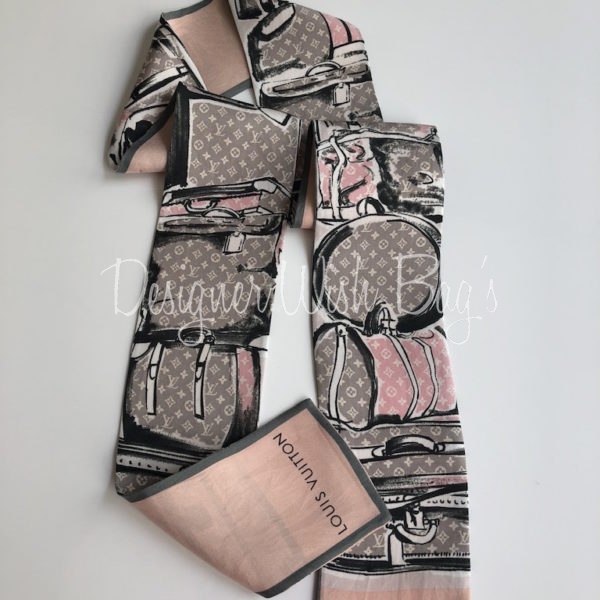 Colours Grey, beige and light pink. 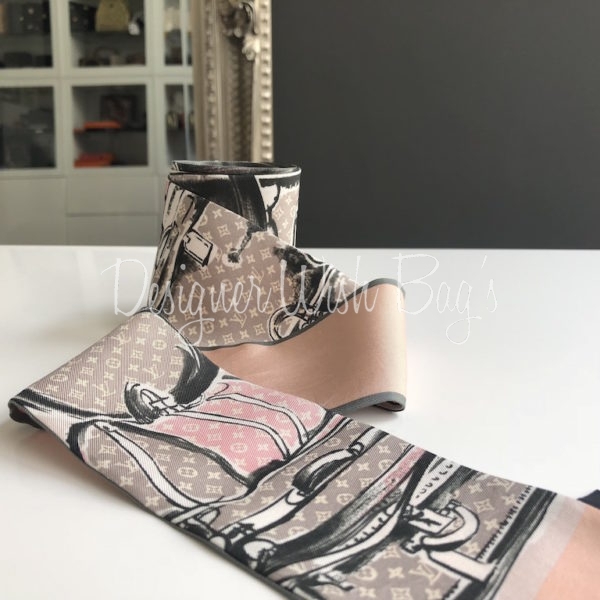 Ideal to use as scarf or to decorate your handbag. 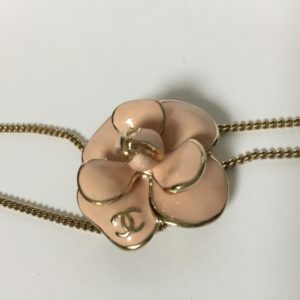 In very good condition, with few light stains on the pink side (not visible when wearing). 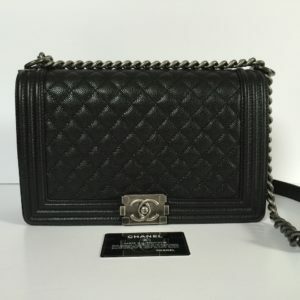 Chanel Boy New Medium Size with 28cm. 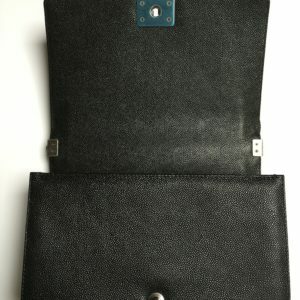 In Black Caviar Leather with ruthenium hardware. 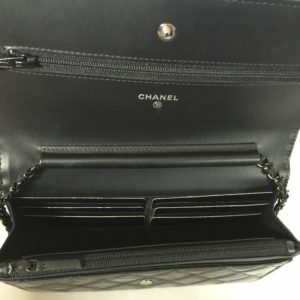 In black distressed calf skin with black hardware. 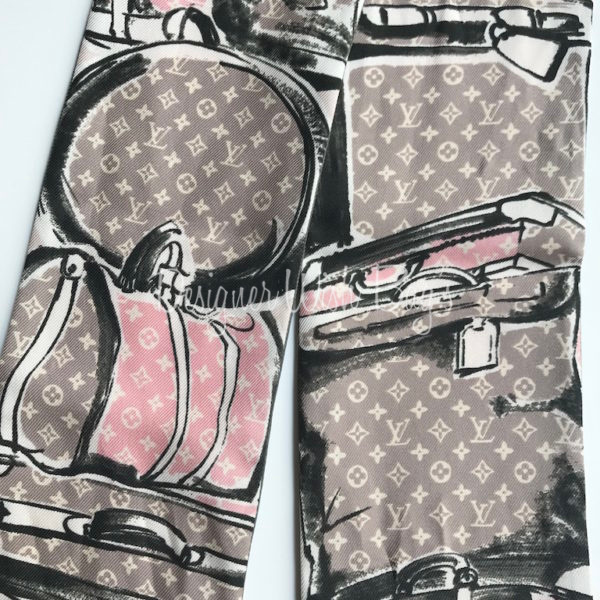 Very rare to find!!! 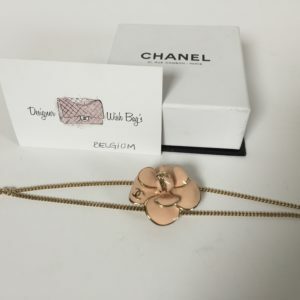 Ligt pink Camelia flower with gold hardware. 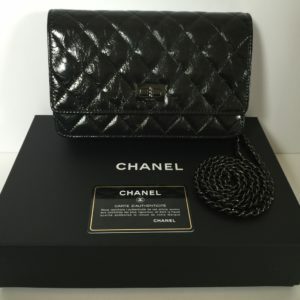 Brand New Set with three Chanel bracelets. 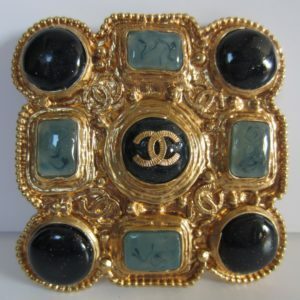 In black and transparent resin with pearls and CC logos inside. 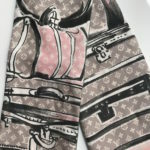 Be the first to see new arrivals. 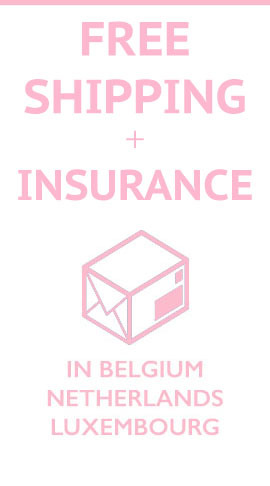 Enter your email and subscribe our newsletter. 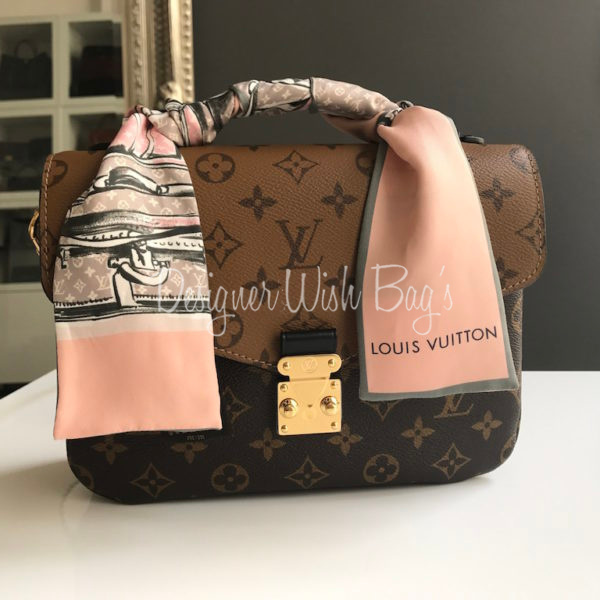 Designer Wish Bags is not affiliated or a licensed partner of the brands we sell, however we do guarantee the authenticity of all our items. 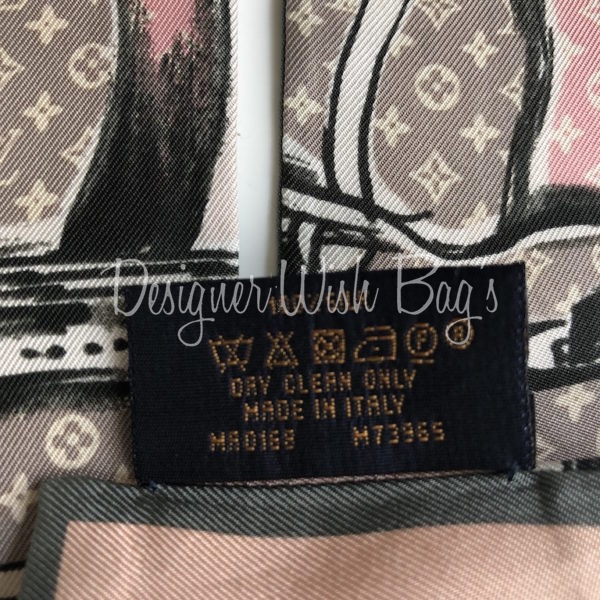 All trademarks appearing on designerwishbags.com are property of their respective owners. 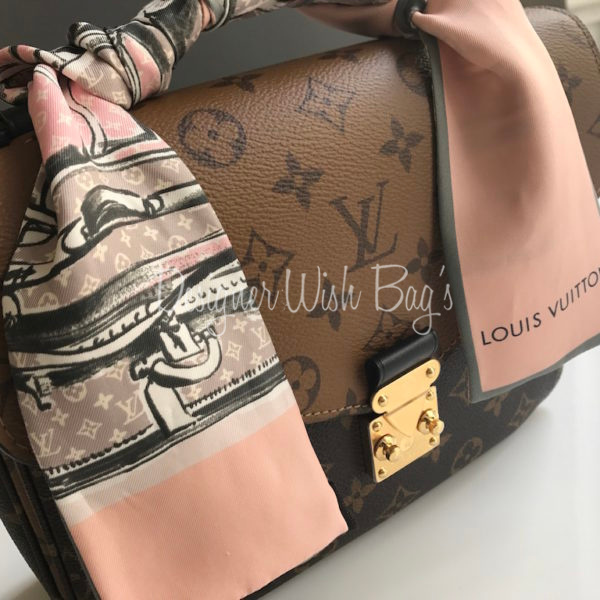 Designer Wish Bags is not affiliated with the owners of any non-Designer Wish Bags trademarks.